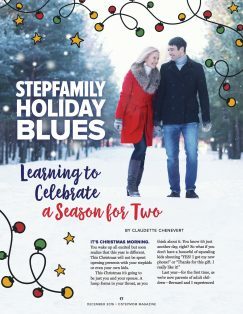 The February 2017 issue of StepMom Magazine is HERE! Meghan King Edmonds is a fascinating woman. She’s a cast member on Bravo TV’s reality show “The Real Housewives of Orange County,” a wife to former All-Star baseball player Jim Edmonds and a stepmother of four. Click here to watch all five Steve Harvey Stepmom Summit VIDEOS! 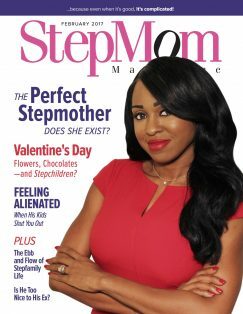 On Thurs., Jan. 21, 2016, StepMom Magazine Founder and Publisher Brenda Ockun was on TV, representing stepmoms worldwide, as a special guest of the “Steve Harvey” daytime TV talk show. 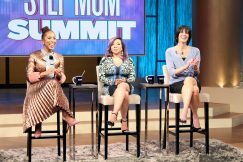 Steve Harvey Show Stepmom Summit – Watch it this week! 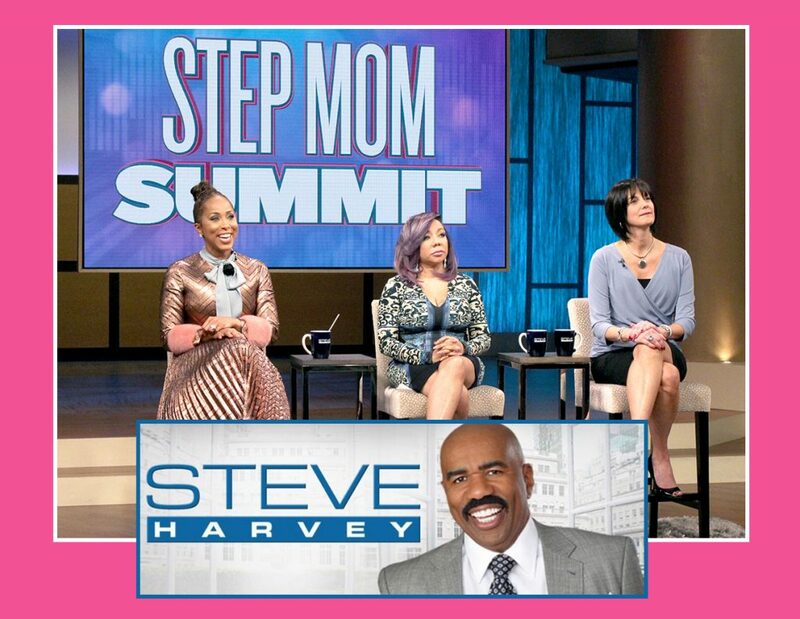 Watch the Steve Harvey Show Stepmom Summit featuring StepMom Magazine Publisher Brenda Ockun THIS Thursday (Jan. 21). Brenda was invited on as a subject-matter-expert guest star, to discuss stepfamily issues alongside Steve’s wife Marjorie and Tameka “Tiny” Cottle-Harris (a former member of the R&B group Xscape and wife of rapper T.I.). Author AdminPosted on January 19, 2016 August 18, 2016 Categories News & EventsTags blended family advice, blended family issues, celebrity stepmoms, stepfamily issues, stepmom advice, stepmom events, stepmom ex wife relationship, stepmom help, stepmom summit, stepmom support, steve harvey showLeave a comment on Steve Harvey Show Stepmom Summit – Watch it this week! 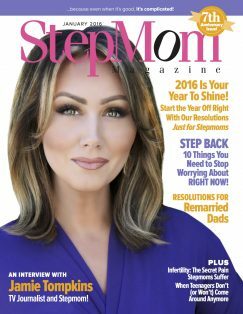 The January 2016 issue of StepMom Magazine is HERE! 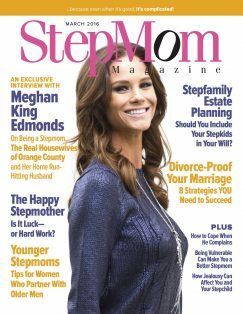 This month marks StepMom Magazine’s 7th anniversary! 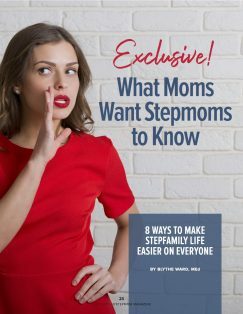 To celebrate, we’ve packed this special edition with information to make your life as a stepmom easier by revealing the truth about becoming a stepmom and sharing tips to help you succeed. This issue is full of candid admissions and insights from therapists, best-selling authors, lawyers, and stepmoms on the front lines. Wednesday Martin, PhD, author of Stepmonster, shares what she’s learned in her research on stepmom resentment. Feel like you’ve lost yourself since becoming a stepmom? Heather Hetchler offers a few resolutions for reclaiming your old self. And Christina Roach explores the unique impact infertility has on stepmoms.